Tap the screen corners to make one (or both) bird fly upwards. 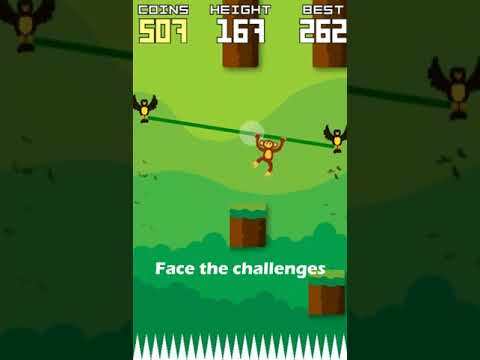 When the birds are tilted, the monkey will slide left and right. Protect the monkey from coliding with the falling walls. And get coins and power-ups to help you get higher and unlock several other characters! How long can you hang in there? Ovyfg jaGood app, great value.